With plentiful winter rain comes plentiful spring flowers! And for certain parts or our state the wildflower shows have been so floriferous that they are being classified as super blooms. These incredible natural wonders have attracted admirers from all parts of the state, the country, and the world! All this excitement over California’s natural beauty is well deserved but unfortunately some have gotten so caught up in the beauty that they have forgotten that these flowers are not just here for decoration. In pursuit of the perfect picture enough flowers have been trampled on, sat on, and picked that many parks have had to be temporarily closed to allow the area to recover. 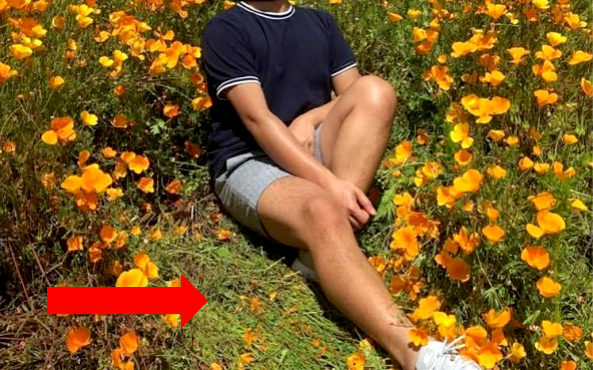 But as lovers and advocates of California’s native flora we must always remind ourselves, our friends, and our family why behavior like this should not be repeated. Why we must remind ourselves and others to not step on, sit on, or pick native wildflowers. Each flower that is lost is dozens to hundreds less seeds for the next generation. Wildflowers provide nectar for native bees and butterflies. Many wildflowers are host plants for butterflies and other insects. While stepping on flowers someone could also be killing many of these important insects. Walking through the flowers can cause soil erosion and compactions issues. By going off trail people may also be putting themselves at risk of tick and rattlesnake bites.